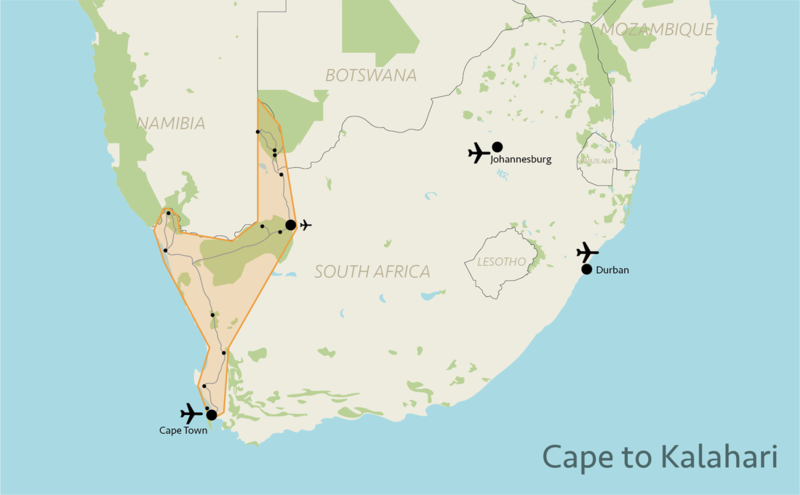 South Africa's climate is generally very pleasant however; it does vary with region and season. ​Two seasons are generally experienced: summer and winter. While coastal temperatures do not vary much between seasons, inland temperatures vary a great deal. The temperatures between the East and the West Coasts also differ considerably. On the East Coast, the climate is influenced by the warm Agulhas current, keeping the air temperature pleasant all year round and the water temperature pleasantly warm (22˚C – 26˚C). The West Coast's climate is influenced by the cold Benguela current, resulting in moderate air temperatures in summer and relatively cold water temperatures all year round (8˚C – 15˚C). January is South Africa's warmest month and June is the coldest. European summer holidays fall within the dead of winter in South Africa. How cold it gets, depends on the region. 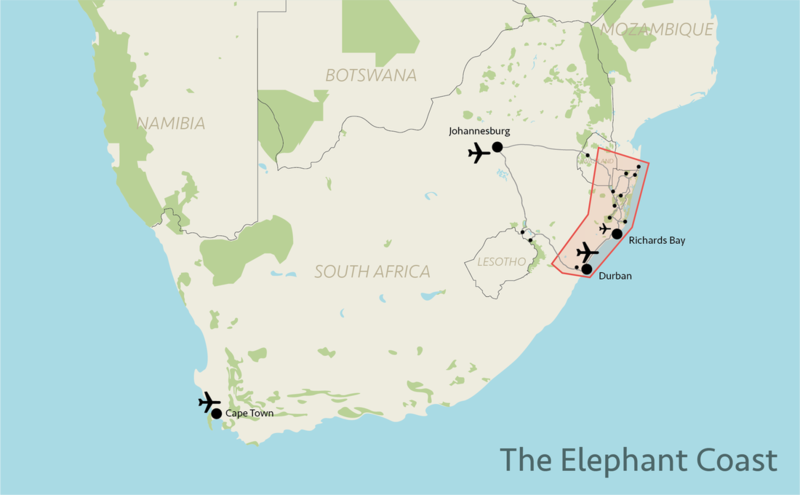 The Elephant Coast and Northern parts of South Africa still have mild weather; however, the Cape is often cold and wet this time of year. South Africa is a popular destination for many European travellers during the European summer holidays, so you will inevitably encounter fellow travellers. Tailor Made Safaris will, however, plan your trip in such a manner as to minimise these encounters and maximise your authentic South African experience. 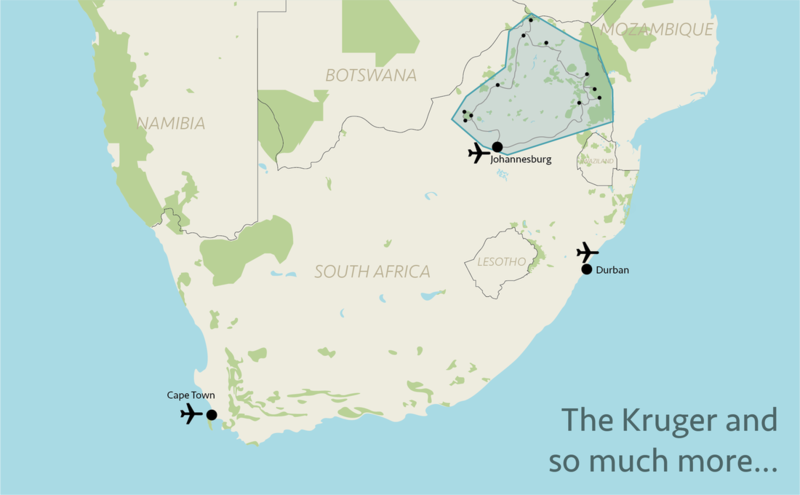 Christmas is, in our opinion, the worst time to travel to South Africa. Local schools break during this period for summer holidays and crowds flock to the shore and well-known game reserves. Popular seaside resorts such as St. Lucia, Sodwana Bay and Ponta D’Ouro see their populations increase tenfold during this period and the beaches are filled with South Africans, quad bikes and jet-skis. Wildlife reserves such as Kruger, Pilanesberg and Hluhluwe-iMfolozi also experience an influx of local travellers with ten times as many cars as usual on the roads. Some South Africans will also be drinking and driving, which is less than ideal. It is of course possible to avoid the crowds by travelling to the more exclusive lodges. Rocktail Beach Camp and Thonga Beach Lodge are two examples of very suitable destinations, even during the Christmas holiday period. Most 4-5 star lodges within parks will offer you an excellent experience, but exclusivity comes at a hefty price tag. ​you will pay a lot more for a considerably lesser experience. The Elephant Coast is a fantastic destination to visit all year round! The best time to visit depends on your personal preferences. We recommend visiting the Elephant Coast May to October as you'll avoid the very hot temperatures, main crowds and big rains. When to visit the mountains? The Drakensberg and Soutpansberg are great destinations to visit all year round. In summer, November to March, it can be very hot with many thunderstorms. The mountains are particularly green and beautiful at this time of year. ​In winter, May to August, snow may even fall on top of the Drakensberg (but not in the Soutpansberg). At this time of year both days and nights are extremely clear, which naturally makes for spectacular views and magnificent starry skies. Temperatures drop and some nights may even fall below freezing. The perceived temperatures can be even colder! ​Most South African buildings have no insulation or central heating. In the Drakensberg most accommodations will provide one small heater, and/ or a fireplace. However, on cold days, you may find it necessary to wear an extra sweater or jacket whilst indoors. Weather conditions are most stable during autumn, March to April. However, in the mountains you should always account for rapidly changing weather conditions. When to visit the Garden Route? 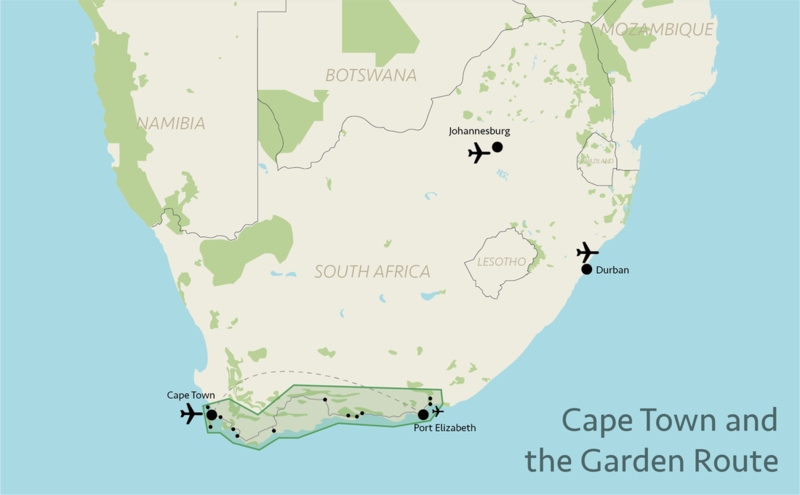 The lowlands around Cape Town are dominated by a Mediterranean climate with hot summers and mild, wet winters. The Cape and Garden Route are ideal to visit year round, as there are numerous indoor activities which are not weather dependent. Winter months aren't as suitable if you wish to engage in numerous outdoor activities (e.g. hiking), as the wet, windy weather will make for a rather unpleasant experience. The chance of visiting Robben Island or Table Mountain is greatly reduced by poor weather conditions. During summer (December – April) this region is an absolute delight to visit, with pleasant temperatures and beautiful weather conditions. Unfortunately the second half of December and January are more expensive due to high in-season prices. When to visit Northern South Africa (Kruger, Pilanesberg, Welgevonden)? There are good and bad times to visit the northern part of South Africa, especially the Kruger National Park. The best time to view wildlife is between May and September: it is the start of winter and lower rainfall results in less dense vegetation and more animals congregating at waterholes. April, May, September and October are the best months to visit this region: evenings are not too cold and days not too hot. May to October evenings and early mornings can be bitterly cold, sometimes evening freezing. However, the days are often pleasantly warm. November to March can be extremely hot and stuffy. ​The rainy season is between September and May, with short, powerful showers falling regularly. When to visit Western South Africa? ​The Northern Cape (Western South Africa) is a beautiful area to visit throughout the year; naturally there are differences between the seasons. Summer (Nov-Apr): This region can become extremely hot, reaching temperatures of up to 40°C! However, game viewing is particularly good, as many antelope have youngs, attracting numerous predators and raptors to the area. The Christmas period, despite the heat and occasional rainstorms, is thought to be one of the best times to visit the Northern Cape. Winter (May-Oct): Game viewing is nothing short of excellent during these months as animals migrate to water sources. This region is particularly beautiful in the late-winter (mid Jul-Oct) as the Namaqualand flowers bloom, flooding the landscape with their rich, vibrant colours.